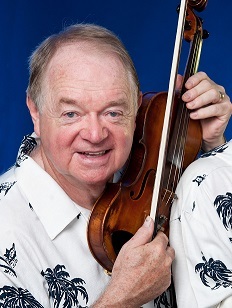 The next programme of Mondays At Six at St Clements takes place on April 1, 2019, and will feature well-known entertainer Tony Fisher. The show will be in 2 parts. The first part sees Fisher telling his story of growing up in Belfast and playing some of the music that influenced his earlier years. He started playing music at the age of 12 and continues to this day. He is known mostly as being a member of the Blarney Brothers who this year celebrate 45 years of playing together. The second part will feature Mais Que Nada with whom Tony plays the mandolin and violin. They will be playing some favourite Latin American numbers.